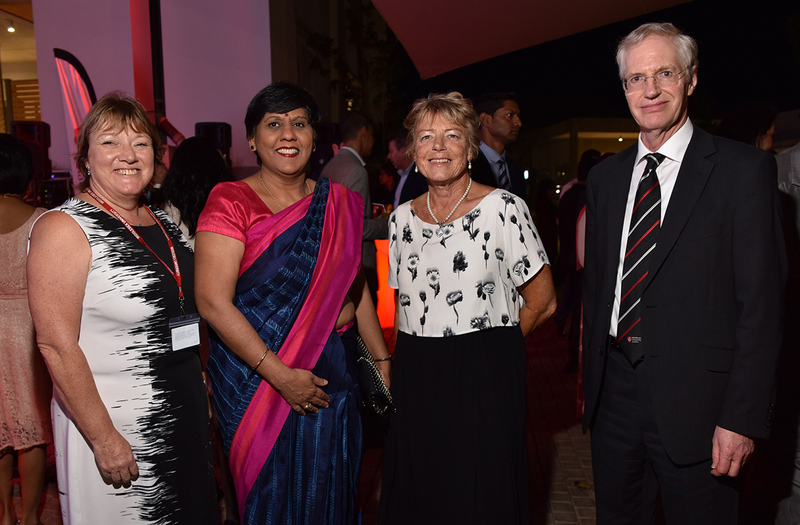 Middlesex has reinforced its position as a global university with the official opening of its new, state-of-the-art campus on the island of Mauritius. Developed in partnership with the Medine Group and situated in the seaside town of Flic en Flac, the campus is now home to around 1,000 students and features a range of cutting-edge facilities. It features three lecture theatres, flexible learning spaces, a laboratory block containing computer, biodiversity and psychology labs, and specialist IT facilities including CISCO, networking and robotics. There is also a dedicated space for student support and administration, as well as a student house for clubs, societies and downtime. Additionally, students and staff have access to a brand new sports complex with a 50m Olympic-sized swimming pool, football and rugby pitches, and a gym and fitness centre. The campus was designed by the Director of BPR Architects, Graham Wilson, who worked alongside local architect Nik Patura. Both Graham and BPR Architects have worked with Middlesex on several projects, including the University's newest addition, the Ritterman Building. Middlesex Vice Chancellor, Professor Tim Blackman, and Middlesex Mauritius Director, Dr Karen Pettit, were joined at the campus’ official opening ceremony by the Minister of Education and Human Resources, Tertiary Education and Scientific Research, Mrs Leela Devi Dookun-Luchoomun; The Most Reverend, Ian Gerald James Ernest, Bishop of Mauritius; members of the diplomatic corps; and Mr Stephane Poupniel de Valance, Managing Director of partners Medine Property. 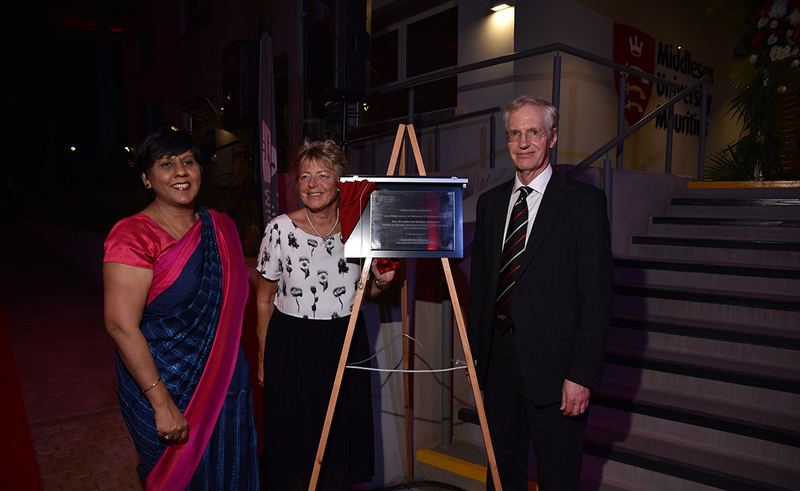 Speaking at the ceremony, Professor Tim Blackman celebrated the fact that Middlesex was the first British university to open a campus in Mauritius just eight years ago. “I am now delighted to unveil our new, state-of-the-art facilities which will enhance the experience of our students and help equip them with the skills they need to become the entrepreneurs, the designers, the creators and the professionals who will go on to make a huge contribution to economies in Mauritius and the world,” he said. Dr Karen Pettit suggested that the new campus reflects the University’s inclusive student population. “Middlesex Mauritius can now accommodate up to 2,000 students who will add to the rich diversity of the campus and local area while they study for a British degree at a fraction of the cost of moving to the UK,” she said.